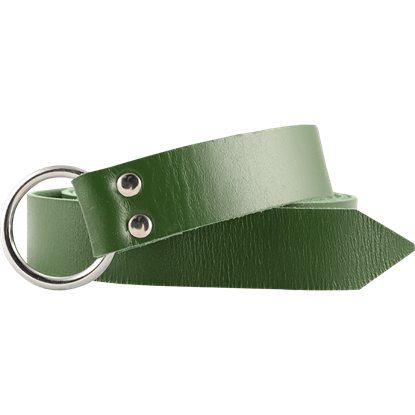 Green like the forest but with a bit of edge, the Laced Leather Ring Belt in Green with Black is perfect for adding stand-out style to many different outfits. 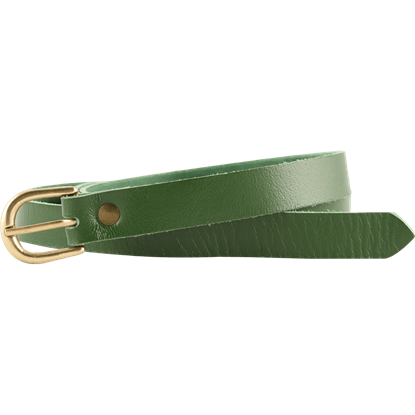 This hand-crafted leather belt is green in color, making it ideal for woodland warriors, Elvish characters, and a variety of other looks. 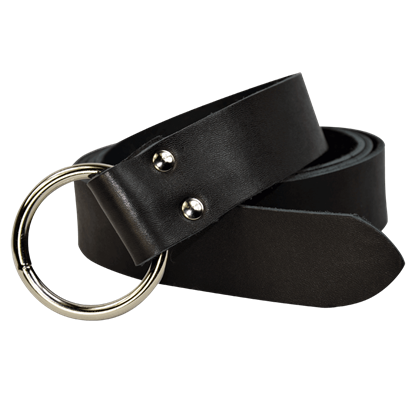 It features black leather lacing in an X pattern along its length, adding a touch of individuality to the medieval ring belt. 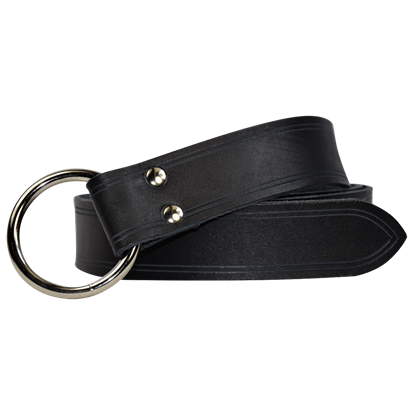 The steel tone O-ring design makes it easy to tie and prevents the knot from slipping. 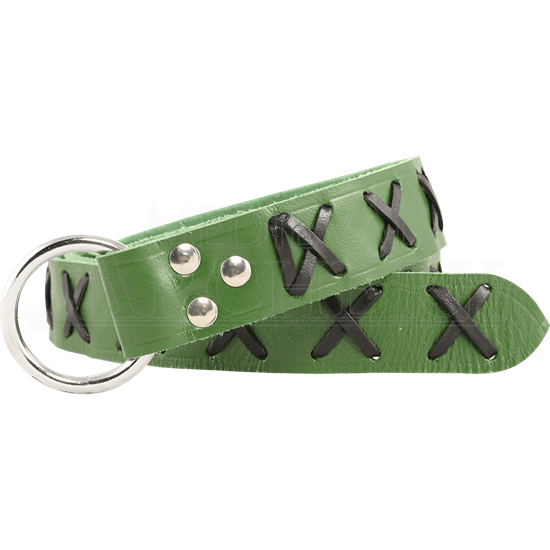 The Laced Leather Ring Belt in Green with Black is the perfect accessory for both historical and fantasy looks, and is perfectly at home used for LARP, Renaissance fair, and reenactment outfits alike.